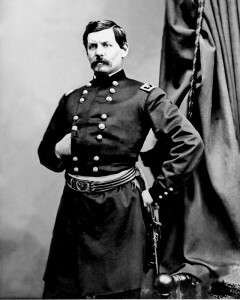 When President Abraham Lincoln appointed McClellan to command the Army of the Potomac in May 1861, the Union press hailed the dashing officer as the “Young Napoleon.” With great skill, McClellan transformed a blue-uniformed rabble into a disciplined army, yet he repeatedly avoided decisive combat. McClellan’s overly cautious approach prompted Lincoln to diagnose him as having a “case of the slows,” and the president relieved him of major command. McClellan’s lack of aggressiveness prolonged the bloody Civil War.